Bollywood stars Rajkummar Rao and Shraddha Kapoor starrer film Stree is doing quite good at the box office and this is the reason now the film is moving ahead to be a blockbuster at the box office. This horror comedy film has made huge buzz and especially that line based on 'ridiculously true phenomenon'. The film is really interesting and this is the reason that the audience is still going in the theatres to watch the film. The film had a suspenseful climax when Shraddha Kapoor grabs the ponytail and becomes Stree. 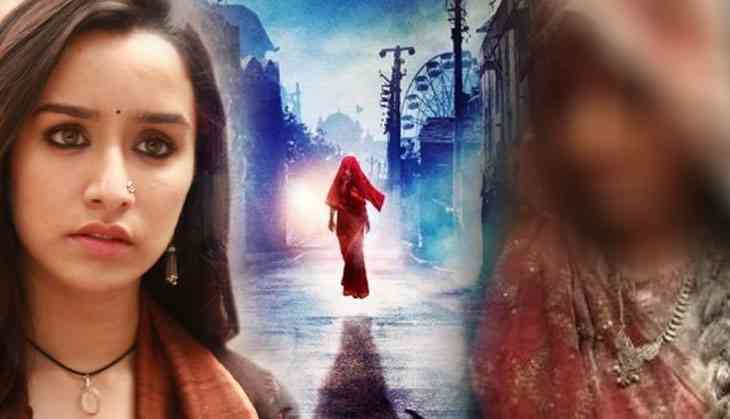 However, it was totally clear from the first scene that it was not Shraddha Kapoor who played the role of Stree it was some another actress. Now finally the identity of the actress has come out. Actually, it is south film actress Flora Saini who played the role of Stree in the film. Flora has shared some pictures of her look from the film and in which she can be clearly be seen as Stree. This actress whose identity was not revealed in the film but she really got appreciation because she deserves as her performance made the most buzz about the film. Also Read - Ranbir Kapoor to replace Shah Rukh Khan in 'Kuch Kuch Hota Hai' sequel, Karan Johar reveals the casting!